The issues that face the third world as well as the struggles of women, particularly women of colour, are subjects that are beginning to be explored in film. Instead of just the white saviour narratives, with ethnic secondary background players, central characters are becoming more diverse than ever before. In a time of great change the film Pili is a welcome project. Written and directed by women as well as featuring a young Tanzanian in the central role. The film is a small but poignant story about a woman’s struggle to escape the hardships of her world. 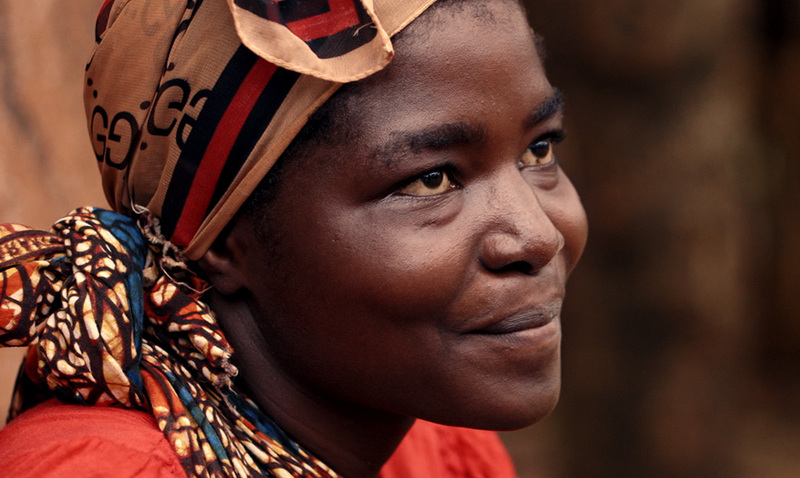 Pili is a woman living in rural Africa. In her poverty stricken village, she has to take care of her two young children alone, while also walking miles to her low paid farming job. She dreams of renting a small kiosk and providing a better future for her children. When a kiosk becomes available, she aims to gather the money that will secure her future. Along the way her health, well-being and strength are tested, but can she persevere? The film is the feature debut from Leanne Welham, who had previously directed shorts, and the film is co-written with Sophie Harman. The project is indeed unique in that only one trained actor was used for the production, the remainder of the cast are Tanzanian locals. The screenplay contains the stories of the female participants and 70% of the cast are HIV Positive. All the locations within the film are real, including the scenes set inside clinics aiding its authenticity. Pili is first and foremost a simple story. It follows the trail of one women and the obstacles her everyday life faces. Through her we see a harsh criticism of third world conditions, healthcare, and the treatment of women. Slowly elements of her character and life are revealed and begin to unravel through circumstance. Pili comes up against the elders of her community, financial plight and even the vulnerability of womanhood. The film also beautifully covers the still taboo issue of HIV. In a continent torn apart by the virus, it is still a mark of shame and stigma which the characters must face head on. The cinematography of the piece is brilliantly done; wider scenic shots show the natural beauty of Tanzania while scenes inside Pili’s home emphasise her isolation. There is also a constant intimacy to Pili with close-ups on its leads face and eyes. The film boosts an impressive cast, led by newcomer Bello Rashid as Pili. Her ground performance fuels the film and audiences will marvel at her resilience and sympathise with her struggles. Able to portray strength and vulnerability in equal measure, every scene reveals more about her and her character. A heartfelt story of a woman in the cycle of poverty. Atmospheric and emotional, the film explores larger themes of destitution and vulnerability through a simple, intimate narrative. An impressive debut by director, screenwriter, and its phenomenal lead actress.